An identification card from the Republic of Congo was found hidden at the bottom of the man's shoe, officials said. Facial recognition technology caught an impostor trying to enter the U.S. on a fake passport that may have passed at face value with humans, federal officials said Thursday. 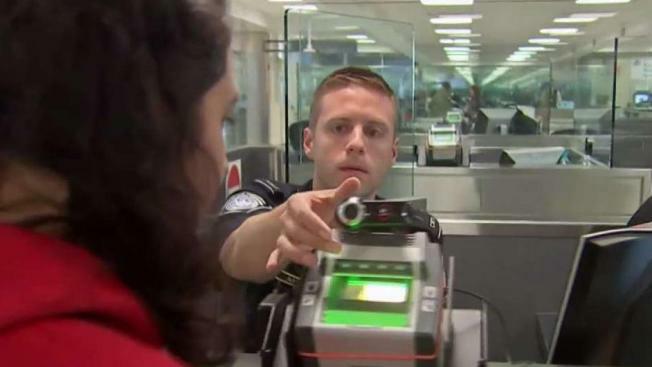 NBC News reports that the groundbreaking arrest came on just the third day of usage of the biometric tech at Washington Dulles International Airport. The 26-year-old man arrived Wednesday on a flight from Sao Paulo, Brazil, and presented a French passport to the customers officer, according to the U.S. Customs and Border Protection (CBP). Using the new facial comparison biometric system, the officer determined the unidentified traveler did not match the passport he presented.